Product Overview Black Spirit 200 delivers an explosive ride through musical history, a four-channel eruption of thrilling sounds that gives you the most intense playing experience you’ve ever felt. Much of the fascinating tone of the great clean, crunch and lead guitar sounds is down to a drop in power supply voltage when spiking transient signals hit the output stage hard. Now, for the first time in an analog amp, Black Spirit 200 lets you adjust the amount of power amp sag and dial in creaminess and growl regardless of the volume level. Black Spirit 200 features four channels that take you on a trip through all the trademark tones of the last 60 years. And like four external stomp boosts, the channel-tailored boost will give you an even more assertive, creamier, or punchier tone! Four inspirational, strictly analog channels plus a complete range of built-in digital reverb, delay and modulation effects make it a perfect all-in-one solution, while a sophisticated FX Loop lets you connect external FX units. And it’s all accessible directly and with the trusted handling you expect from a real guitar amplifier. All parameters apart from the Master Volume can be stored in up to 128 presets and recalled any time you want! Black Spirit 200 is the perfect solution on stage and for your sound library in the studio or at home. 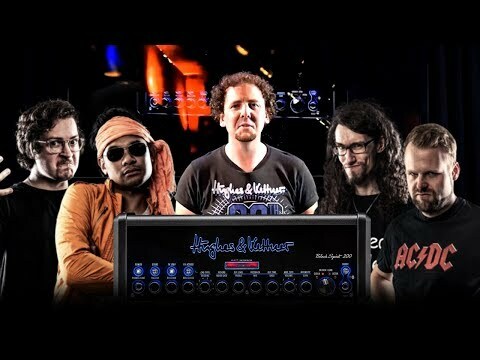 Recalling all your favorite Black Spirit 200 tones couldn’t be simpler: just use the optional Hughes & Kettner FSM-432 MK III MIDI board, where every one of your presets is the tap of a toe away! – from monstrous 4×12 stacks to compact 1×12 cabs, and anything in-between – to truly personalize your tone. This option is not only more convenient than miking up a cab. In most cases, it sounds a whole lot better! Black Spirit 200 can drive any kind, size and number of cabinets with a total impedance of 8 to 16 ohms. With 200 watts of output power, Black Spirit 200 is one of the loudest guitar amps ever. You’ll probably never need this kind of volume, but you’ll always love the dynamic headroom. 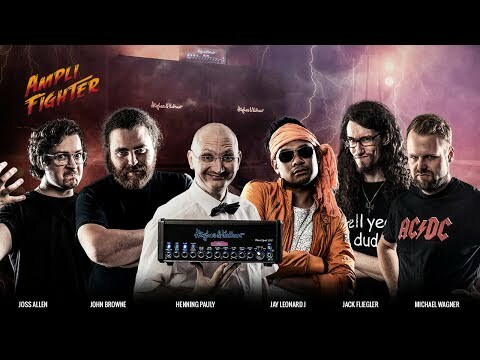 And Black Spirit 200 is the world’s first guitar amp that lets you also play directly into a passive PA cabinet or monitor wedge without losing the sweet character of a high-class guitar cabinet. With the cabinet type switch you decide if you want to play through a guitar speaker or a Full Range Flat Response (FRFR) cab. The Output Power switch limits the wattage according to the location or the power capacity of the cab you’re using. With the Black Spirit 200 Remote App, you’ll never lose a great tone again! Arena Setup: Black Spirit 200 can drive any size and number of guitar cabinets with a total impedance of 8 to 16 ohms. John Browne used a double full stack with four 4x12 cabinets to unleash his earthshaking drop-tuned arena metal roar! FRFR Setup: Use Black Spirit 200 to drive any kind of passive or powered Full Range Flat Response speaker! Michael Wagner replaced the 2x12 cab with a passive PA speaker connected directly to the Black Spirit 200's speaker out, so he could enjoy the different Red Box AE+ cabinet emulations on stage. Recording Setup: The Red Box AE+ makes life in the studio so much easier: you have instant access to constant great tone direct to desk, with no need for micced cabs. And, if you also use the free App for iPad, you don't even need to physically touch your amp to tweak your tone. Take your seat in the studio's speaker sweet spot and dial in your tone exactly how the track needs it. Plus, you can save all your settings for the next session without overwriting your stage presets in the amp. Jam Setup: Black spirit 200 doesn't just offer a room emulated stereo headphones out, so you can enjoy great tone in the still of night; you can even use it to jam to your favourite tracks! Just connect your music player tto the built-in Aux input or stream music from any Bluetooth-enabled device direct to your amp! • Weight:	3.6 kg / 7.8 lbs. Speaker Size (Inches) 0 "